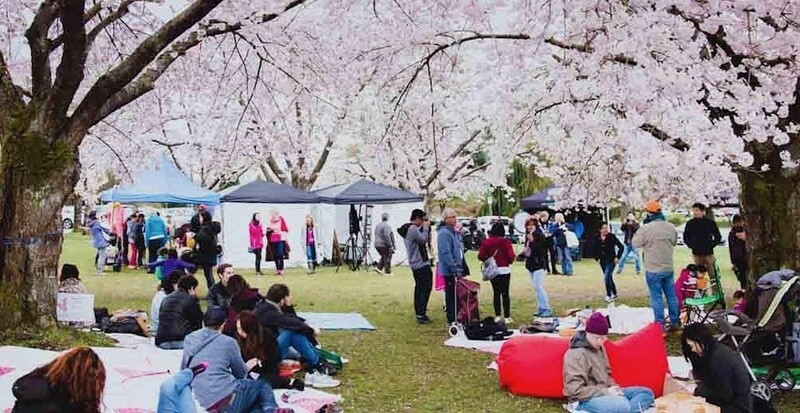 The Vancouver Cherry Blossom Festival (VCBF) has announced that they’ve changed the date of one of their events. Due to poor expected weather conditions, organizers have shifted the date of the VCBF’s Big Picnic. The open-air event is one of the city’s largest outdoor picnic celebrations and was originally scheduled to take place on Saturday, April 13. With Saturday’s forecast calling for a 60% chance of showers, organizers have decided to change the date of the event to the next day. The Big Picnic is an afternoon event that calls Vancouverites and visitors to the Queen Elizabeth Park. Attendees are invited to bring their own food, although they’ll also have access to some of the city’s most popular food trucks on-site as well. Activities also include face-painting, meditation, games, and performances by local artists. Anyone participating is encouraged to bring a picnic mat, a picnic basket, and their preferred method of seating. The Big Picnic 2019 will now take place on Sunday, April 14, 2019.